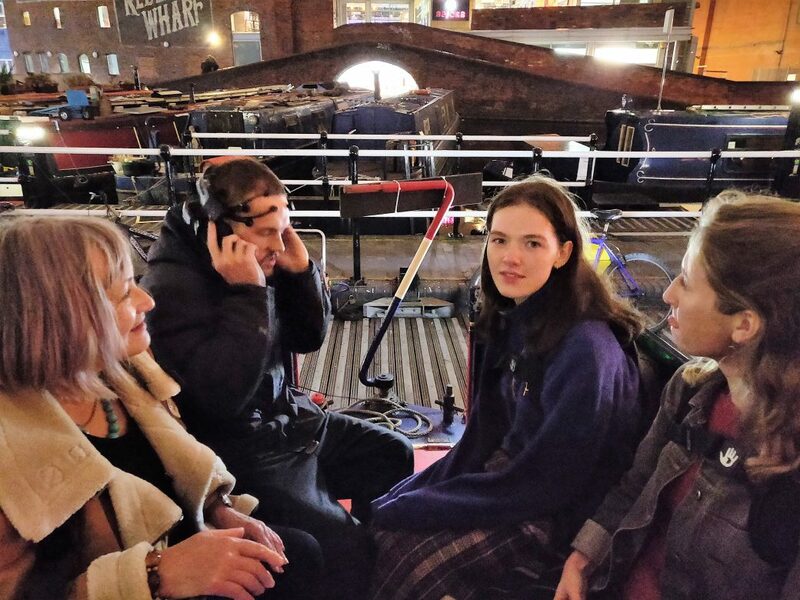 Lorna Darknell recently took part in a ground-breaking sleep laboratory with Ikon Gallery’s artist-in-residence, Justin Wiggan. 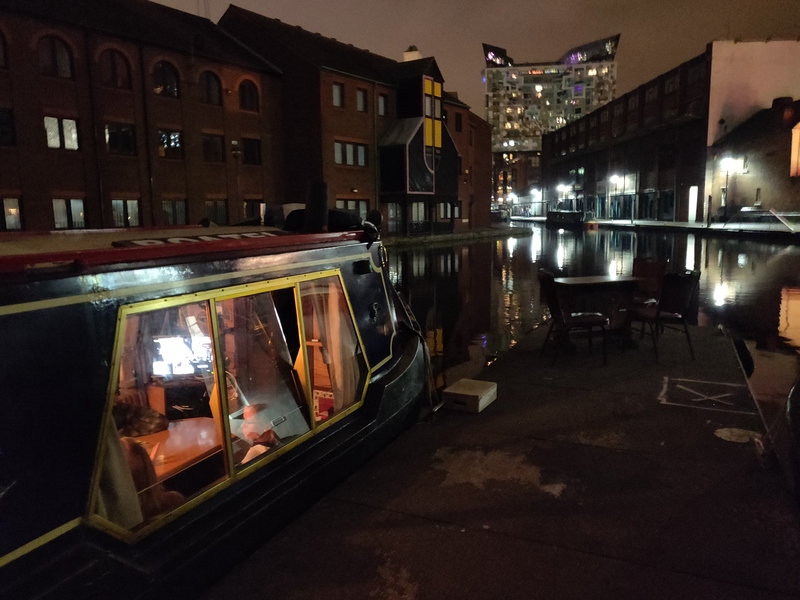 Here, she reflects on her night aboard Boatel (Birmingham’s only floating hotel), where she was immersed in an art and science experiment around waking, dreaming and memories. When I saw the description for ‘Dreamboat’ by Ikon Gallery’s artist-in-residence Justin Wiggan, I was intrigued. 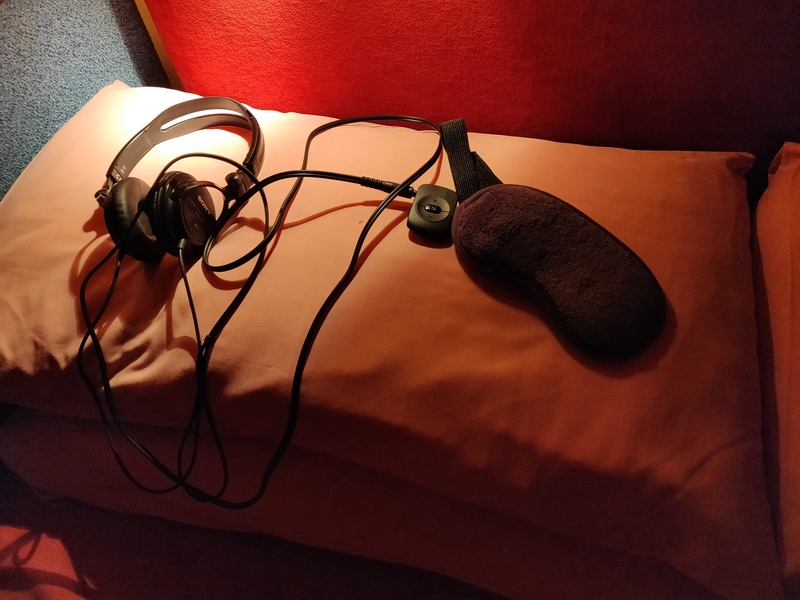 Described as a ‘sleep laboratory’, the evening would include a sonic massage and soporific snack, readying participants for a night’s sleep soothed by the soundscapes of people’s memories, created by Justin and Ikon’s Youth Programme. I wasn’t sure if I was signing up for a science experiment or an elaborate sensorial art project – I’m still not really sure – but it was one of those moments when life tells you to step out of your comfort zone. I was the first to arrive at Ikon Gallery at 9pm. I was met by Justin, as well as food and performance artist Kaye Winwood, who was providing the snacks. They walked me to the Ikon Slow Boat, where I would be interviewed along with the other 3 participants. Justin immediately started to chat excitedly about the Life Echo project, which he said had begun 20 years earlier as the brainchild of a scientist called Dr Lipton. Justin had been the assistant of this renowned scientist, whose cutting-edge research on dreams and memory was so controversial it had been banned by the US, leading to Lipton going into hiding. Justin confessed that he had created a fake body of research by a scientist he made up, then posed as his assistant. The fictional Dr Lipton had even been booked to speak at Scarborough University – but of course, he never showed up – Justin had been sat with the bewildered audience, as they pondered the coat, glasses and blacked-out file of research papers at the front of the room. “Does anybody know about this?” I ask, laughing in amazement. Justin explained that it was the right time to reveal this secret, as he was now on the verge of completing all of the fictional Lipton experiments he had invented two decades before. This brilliantly bizarre beginning gave me a taste of what was to come. As our small group nibbled on Kaye’s sleep-snacks – roasted chickpeas were a favourite – Justin delved into the background behind the Life Echo project. Life Echo involves representing memories through sound. The Life Echo subject recalls a good memory, and Justin compiles the sounds associated with that memory into an ‘audio memory map’. The idea behind it is that listening to your Life Echo will enable you to conjure up happy memories. For instance, Justin is working with Dementia patients on the Life Echo project, with the support of the NHS, to encourage memory retention. So, where did this idea come from? Justin explained that the idea for these memory soundscapes came from a dark period in his life, when his wife was diagnosed with a very serious case of breast cancer. He was trying to conjure up memories of happier times to keep himself going, and realised in a kind of horror that all of his memories were silent. He wished that he had the sounds to accompany the happy memories, to make visualisation easier. It’s easy to see how Life Echoes could have tangible benefits to a huge range of people: not just those suffering from memory problems, but people dealing with trauma, grief and mental illness. Justin has already worked with Fire Services, Hospice patients and disadvantaged children amongst other groups with this in mind. The sleep experiment we were taking part in involved us being played the Life Echoes of other people while we slept, with the aim of unravelling the connection between memories, dreams and the grey areas in-between. Justin wanted to see whether other people’s memories would have an affect on our dreams and sleep memories. We left Slow Boat and took a walk through the canals to Boatel, where we would be spending the night. By this time, the canals were quiet and dark. It was a clear night, so the moon glowed on the still surface of the water, and I felt a million miles away from the bustling city I’d left only an hour before. We were each shown our rooms by Saima, the owner of the charming Boatel, all of which were wonderfully cosy and had a traditional feel about them. I also noticed the multiple screens set up in the living room at the front, and the wires coming from them, and taped along the entire length of the boat, leading to a series of night vision cameras set up opposite our four beds. I was feeling a strange concoction of comfort, expectation and apprehension. We were all synced up together with a series of wires that meant we experienced the sound vibrations simultaneously. It was a fairly pleasant feeling, but became more powerful when listening to the same sound through headphones. Hearing and feeling the moon concurrently was pervasive and all-encompassing: it demanded all of my attention, making it hard to carry on chatting to the others as we had been previously. As the headphones went on, the sounds of everything around me died away, creating a peaceful state that emulated meditation. Justin is talking about how weird this feels for him, having made up how this evening would unfold decades before, and it seemed like we were entering an underground, otherworldly headspace along with him. What I found most interesting about this stage of the night was how introspective everyone seemed to become. We might have been influenced by the talk of memories, the surrealist situation, or perhaps having a shared focus had made us feel connected to each other. Although we were all strangers, we had somehow developed an intimacy that enabled us to sit comfortably, discussing our own happy memories and our thoughts of the evening together with an air of nostalgia. Just before we headed off to bed Justin pulled out a bag of sleeping pills – we were a little alarmed too – but it was only saffron, apparently a natural sleep-inducer. 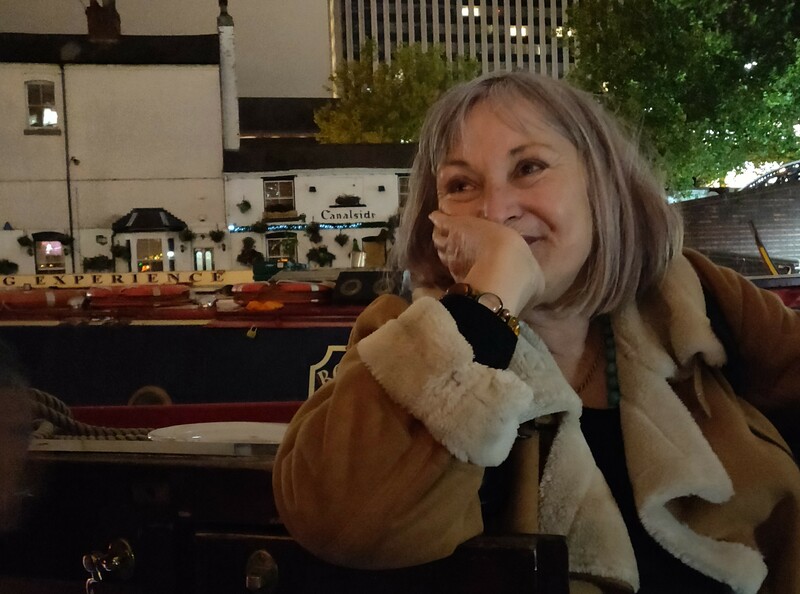 As we walked back along to the other end of the boat, I could see the glow from my bedroom window, and couldn’t wait to be swayed to sleep! Justin entered a semi-paternal role as he made sure each of us had working headpieces and were ready to drop off. Sure enough, through the headphones the life echoes began. There were twenty-one, each about a minute long and with a short gap in-between, played on a 45-minute rotation, each one encompassing multiple sounds. Sounds included a radio playing music from the 70s, wood being sawed, the rustling of trees and birds tweeting. Some were relaxing ambience sounds, while others were more jarring and invasive. After what seemed a long time spent focusing in on these sound memories, I dropped off to sleep. Sleep was quite interrupted, given the surreal situation, and I felt disorientated in the morning, unable to gage how much I had slept. By the end of the night, certain soundscapes had become very familiar, to the point where I now had my own memory of hearing the sound. In one sense, I had internalised the memories of other people as my own. I was also more emotionally drawn towards certain sounds, such as the sound of a child watching television as somebody cooked dinner in the kitchen. Throughout the night, I tried to make notes in a book I left next to me whilst still half-asleep. These scribbled notes are interesting to read back, as I usually find it very difficult to retain any sleep memories, but the act of writing seemed to cement them in my mind. We came back to the Ikon boat for breakfast together, and were interviewed by Justin. I felt a bit like I’d been on another planet, and still now I was in a kind of limbo between that other planet and the real world which I was shortly about to dive back into. 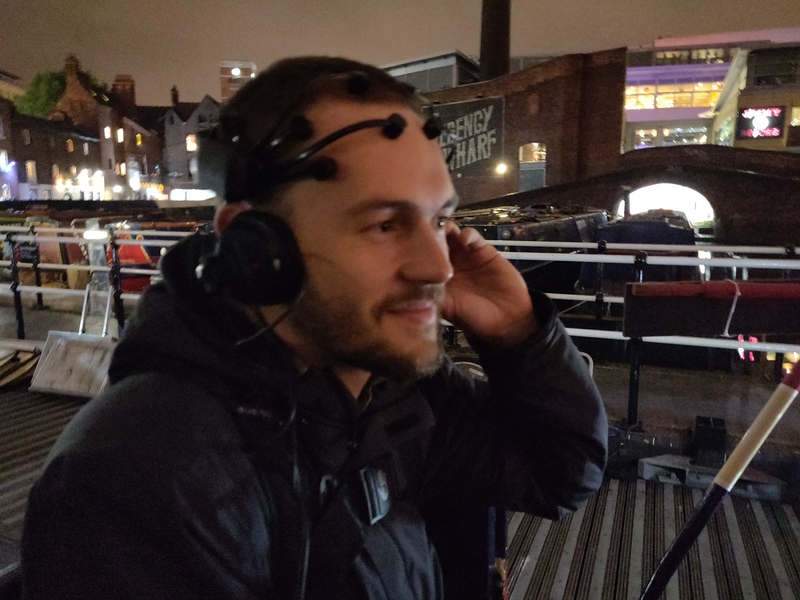 It also occurred to me that, as I didn’t know any of the other participants, the memory of the experience was only going to become more abstract in my mind, as I wouldn’t be able to reflect with anyone about it as a shared experience. Since then, every time I’ve tried to explain Dreamboat to somebody else I’ve been correct about that: it becomes increasingly strange and surreal. Was this what Justin intended?